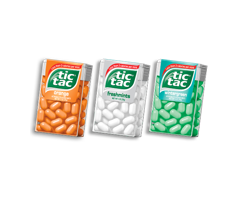 I am stoked to see a coupon for Tic Tac’s. They remind me of my Grandma. She always had “mints” in her purse when we were little. It was a special treat to get “mints” from grandma. You only got them if you were being really good. I think it’s time to start this tradition with my kids.